Raymond Jungles, Landscape Architect, incorporated water features to bring the sky into this award-winning Garden. 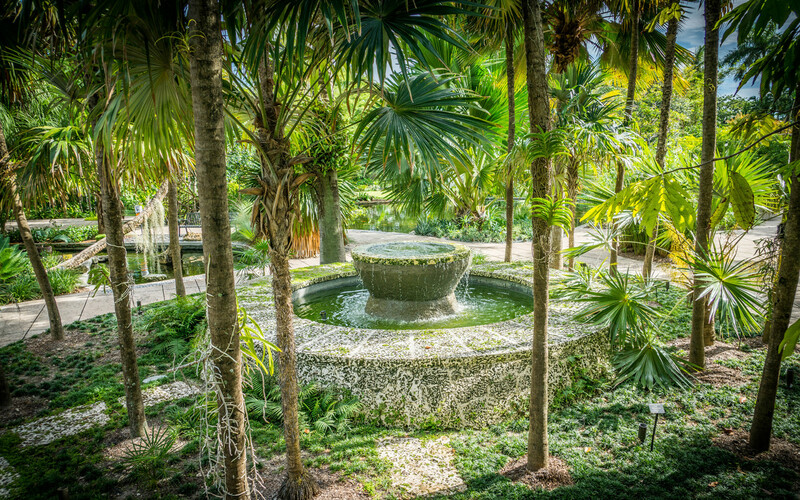 Morris Lapidus, famed Miami Beach architect, designed this circular fountain covered in native oolite stone. 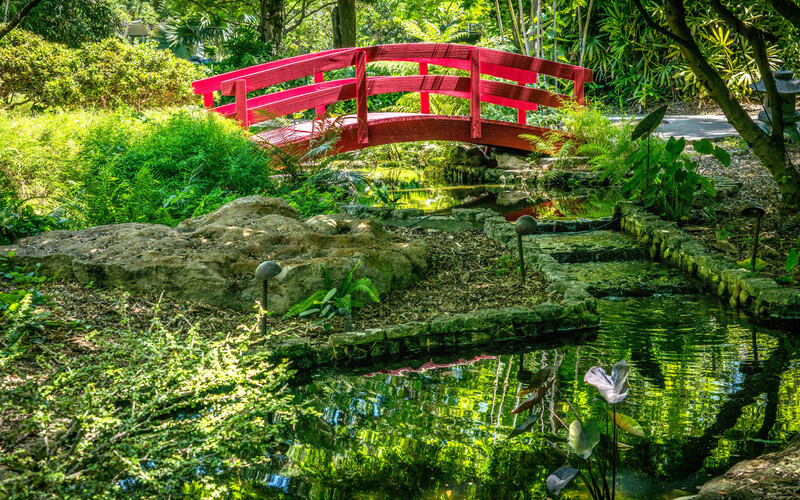 A tranquil corner defined by a red lacquered bridge spanning flowing ponds, surrounded by the bamboo collection. 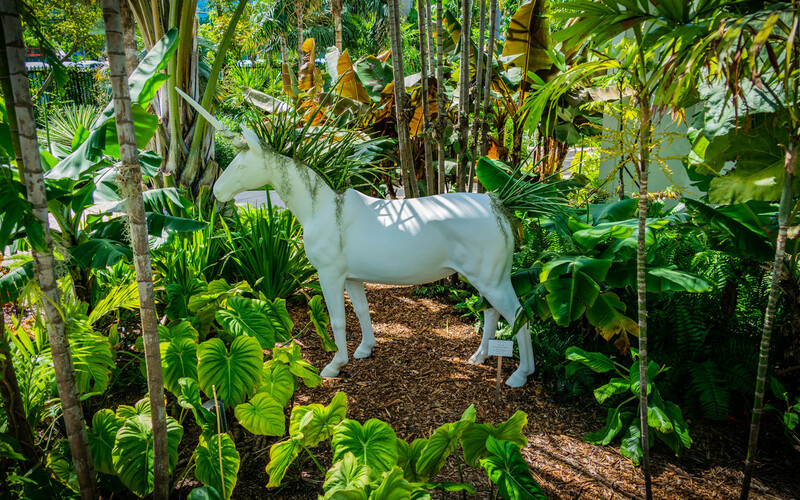 The sculpture created by Plant the Future features living Sansevieria Cylindrica plants as the mane and tail of the unicorn. 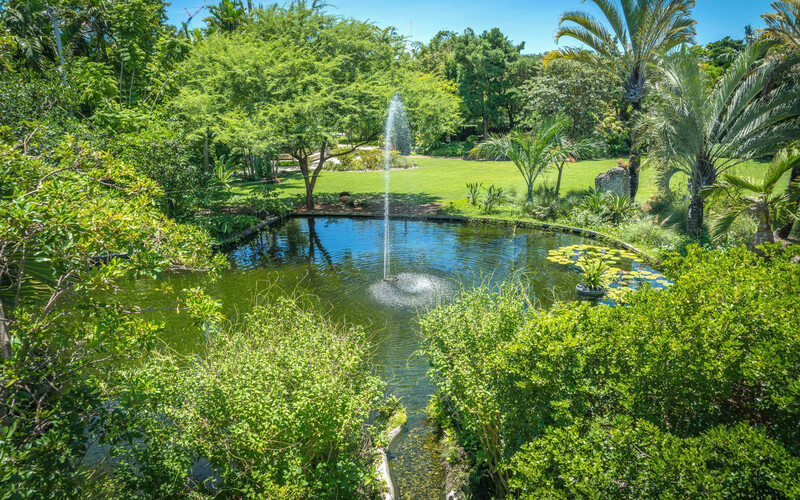 This 2.6-acre urban greenspace showcases Florida native plants and trees, with garden subsets including a Japanese garden, edible garden and water garden. Cascading oolite fountains frame the Great Lawn, perfect for a casual picnic and also available for corporate and social events. A free self-guided phone tour offers additional information on the history of the Garden and plantings. 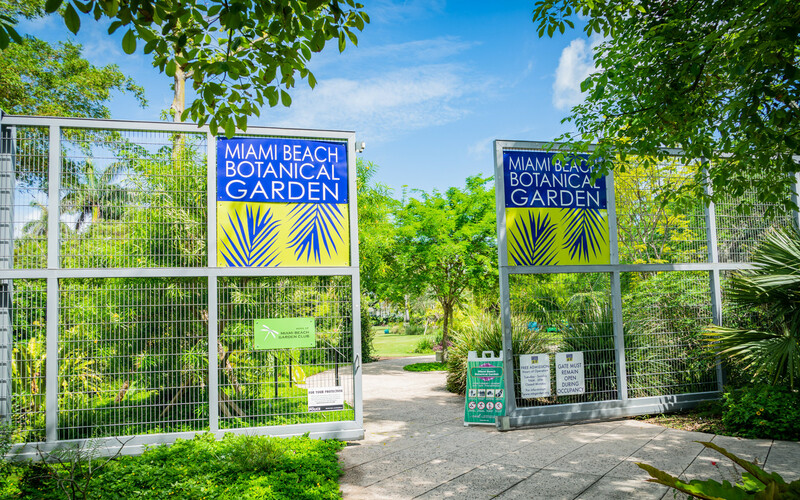 Annual events not to be missed include the Botanical Bazaar, Halloween party, Tour of Miami Beach Gardens and Taste of the Garden. Environmental educational programming is offered throughout the year in the form of workshops, seminars, and free family-oriented events.